Clearwater Hackle has finished processing last year’s crop, and has some fantastic capes and saddles, as well as full skins for sale. Limited inventory in various colors and grades, so hurry while supplies last. 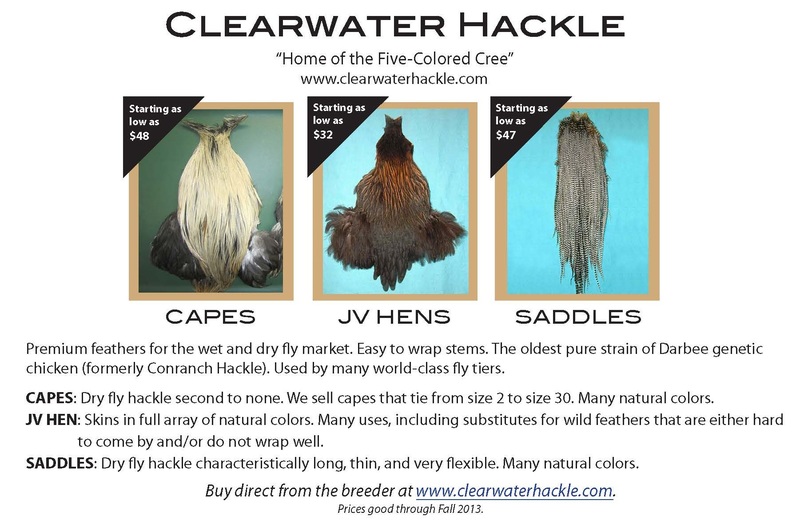 Visit http://www.clearwaterhackle.com/capes/ for more information. This entry was tagged dry fly cape saddle grizzly cree variant wet fly. Bookmark the permalink.